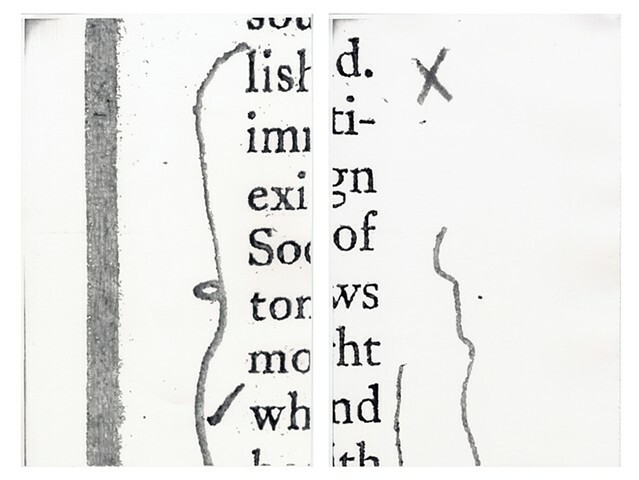 An ongoing, interactive project about the changing nature of reading and seeing in an era of digital transformation. 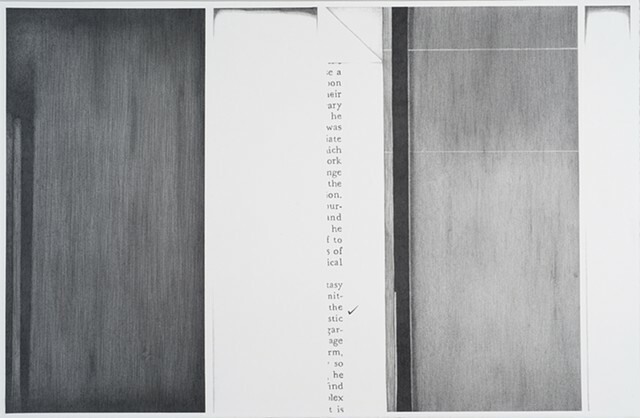 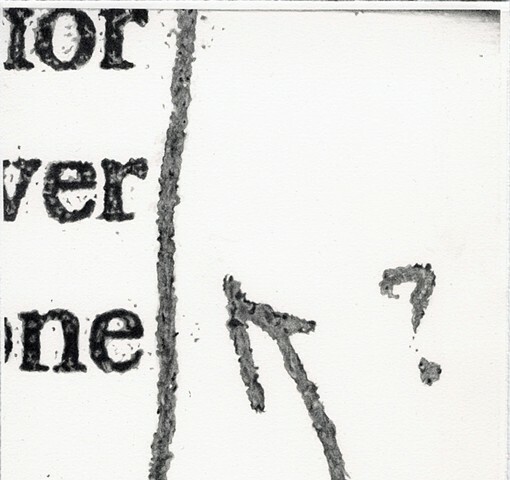 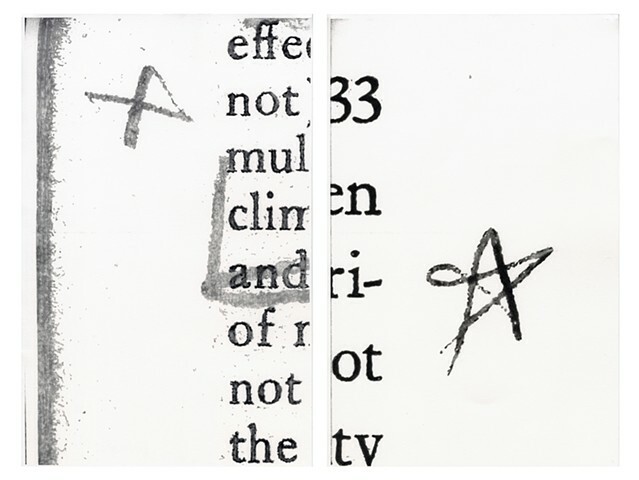 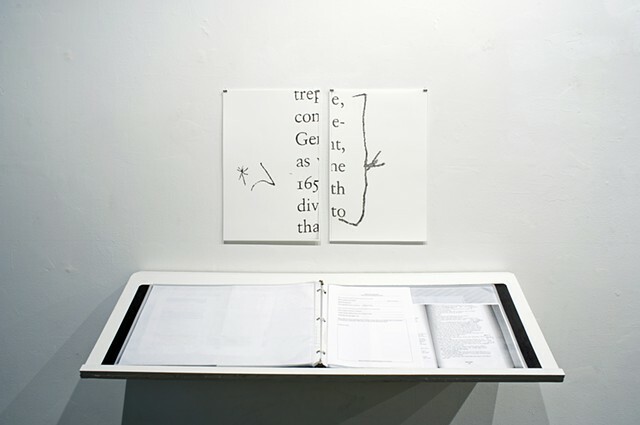 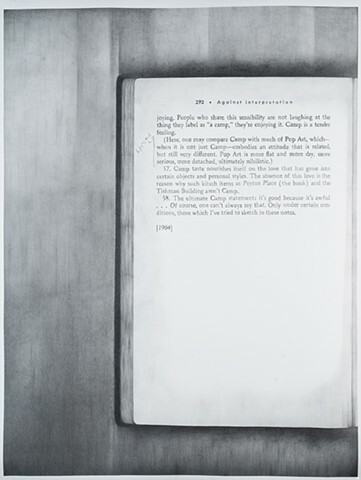 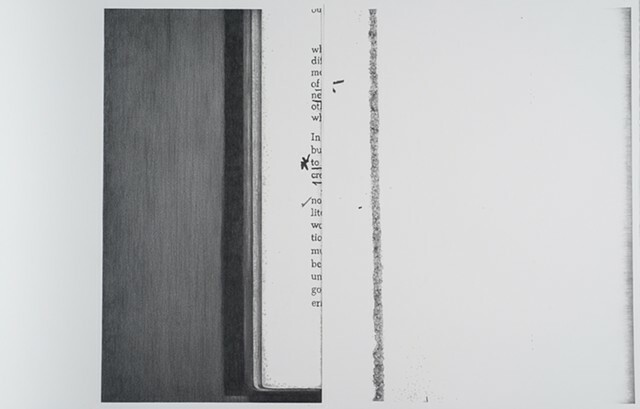 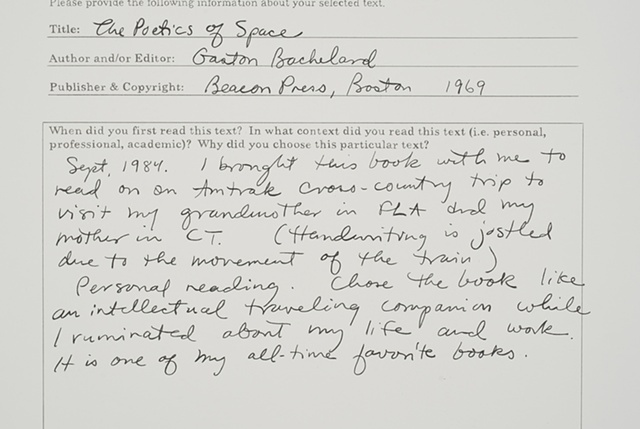 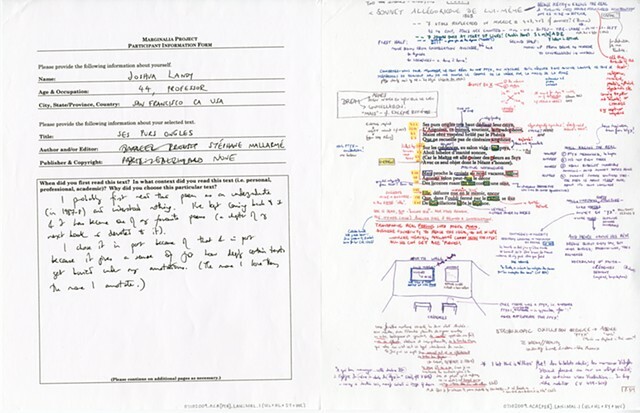 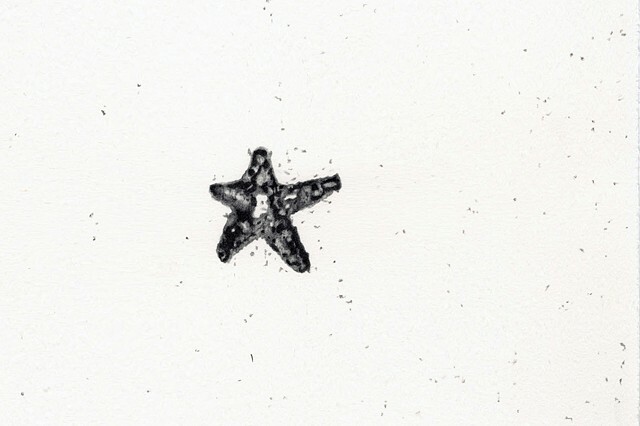 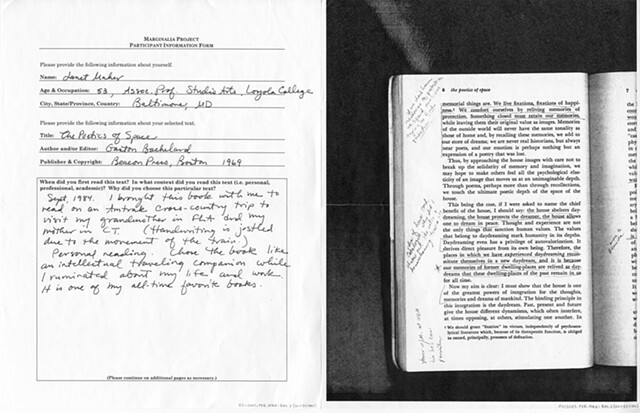 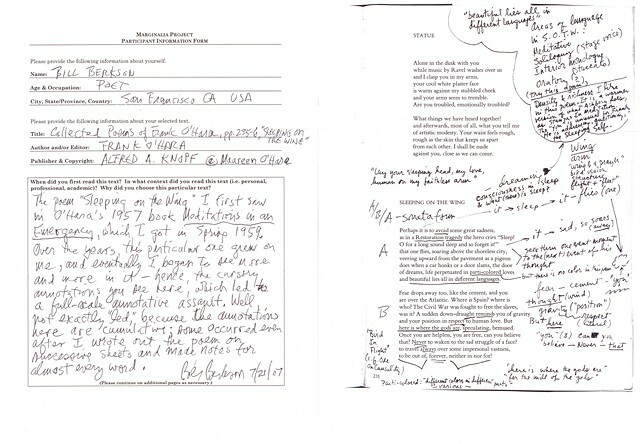 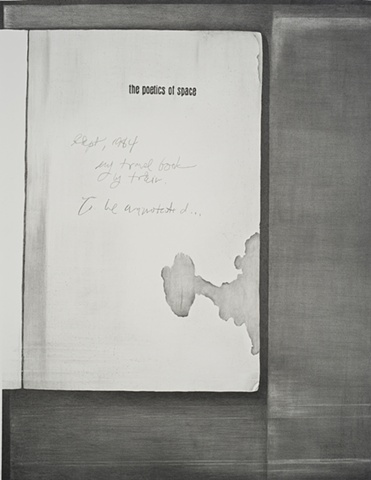 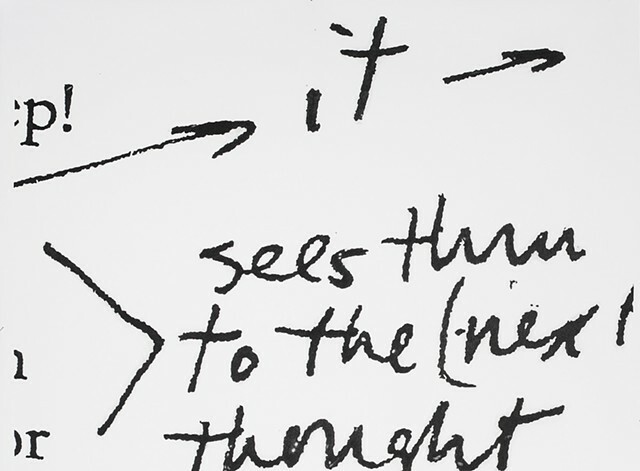 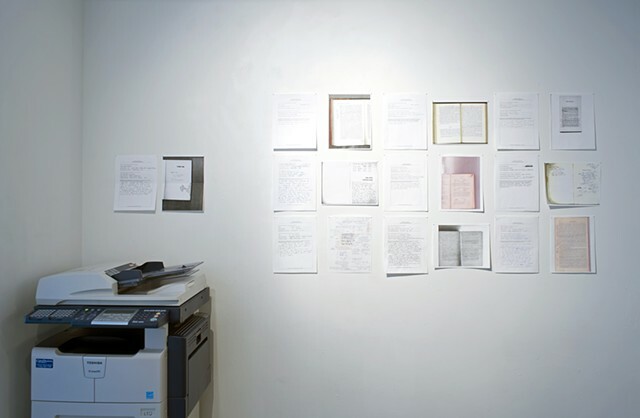 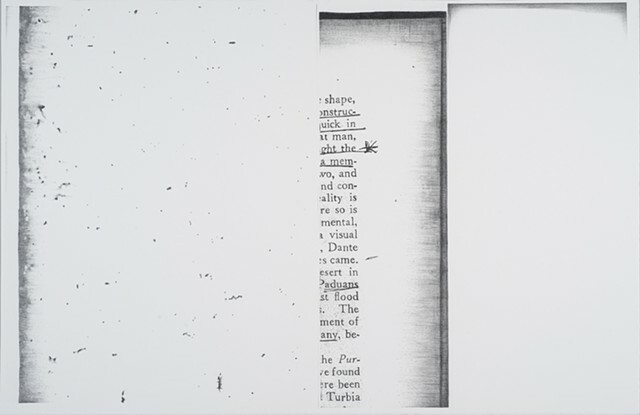 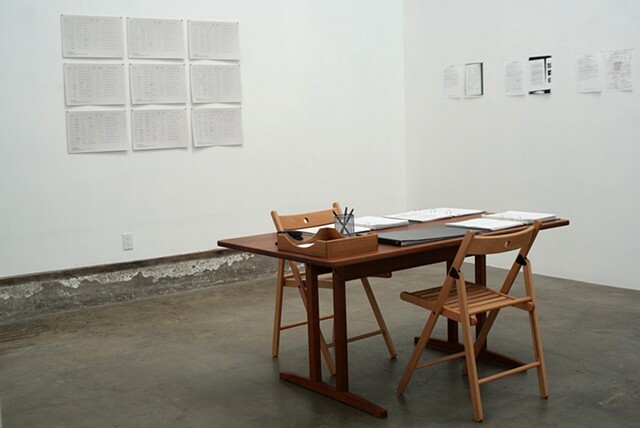 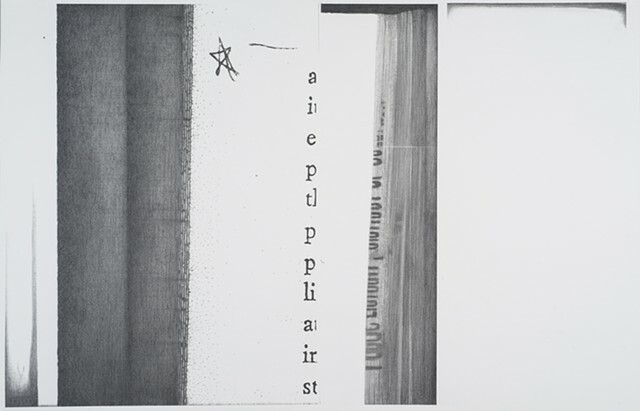 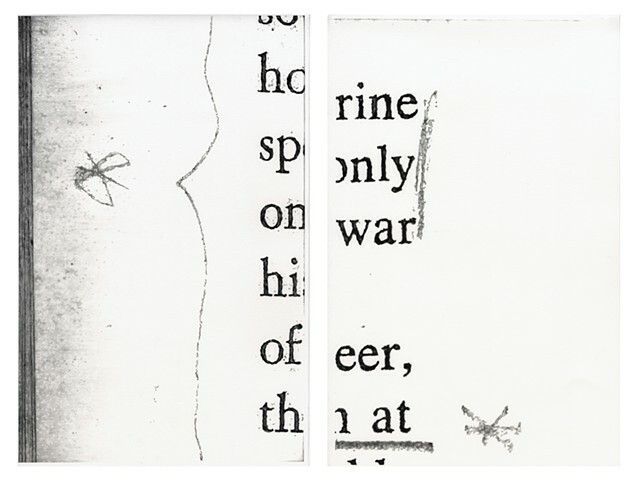 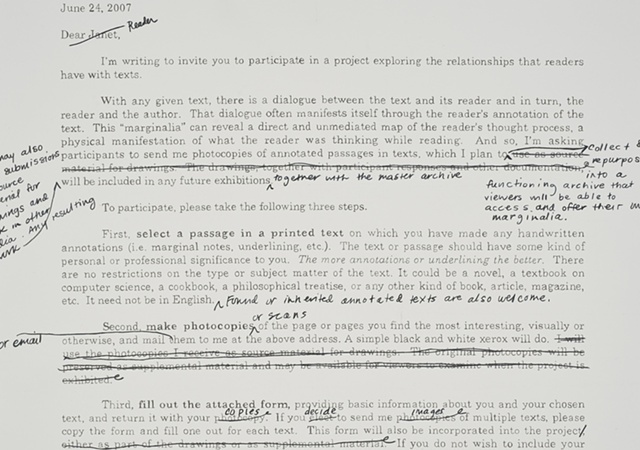 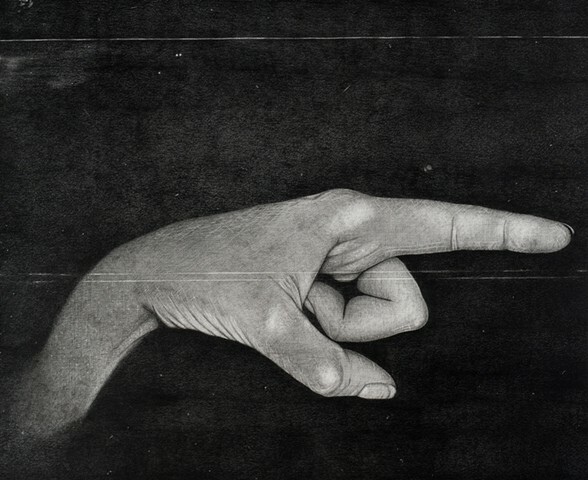 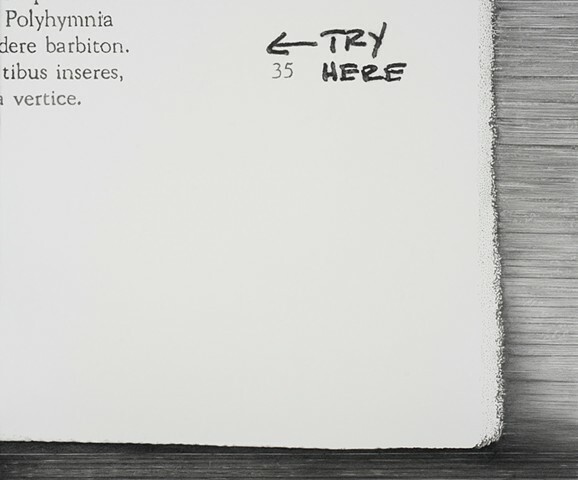 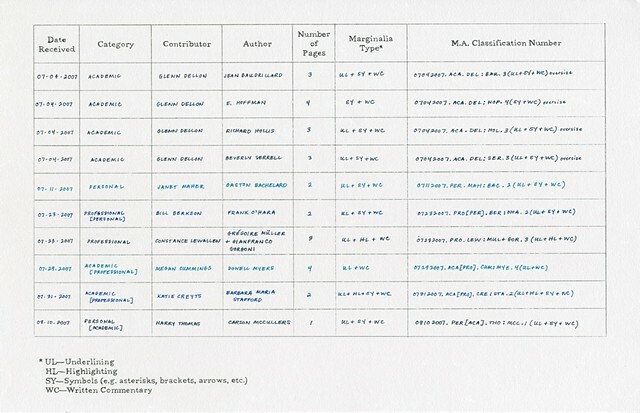 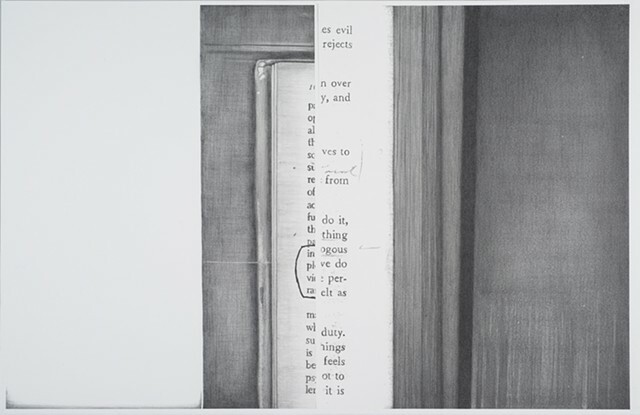 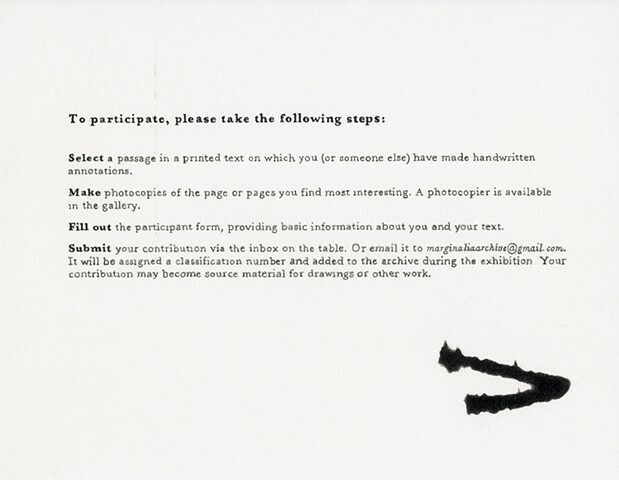 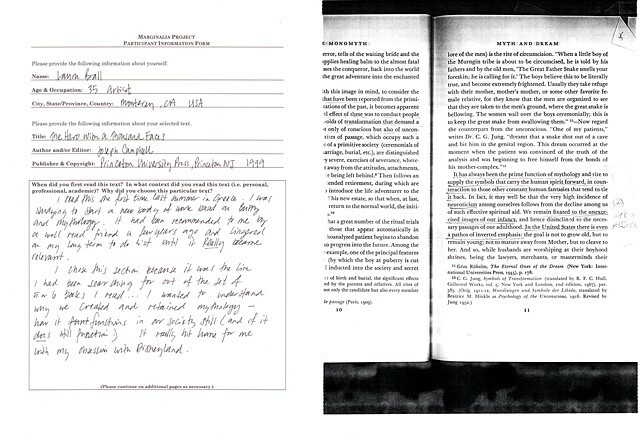 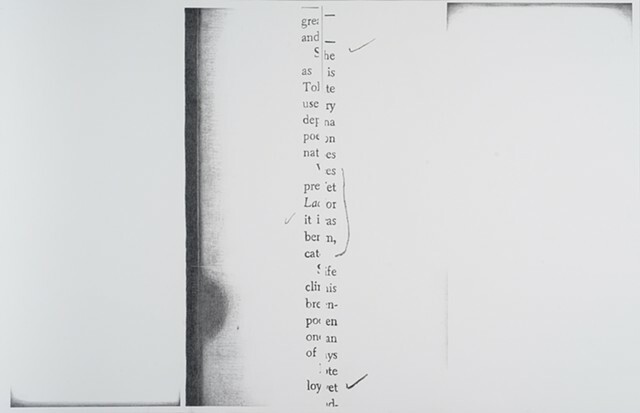 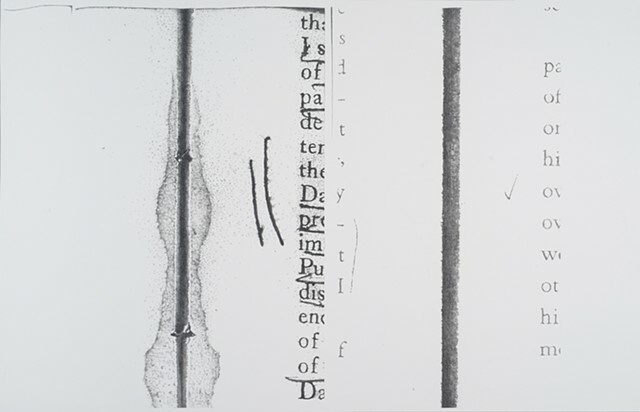 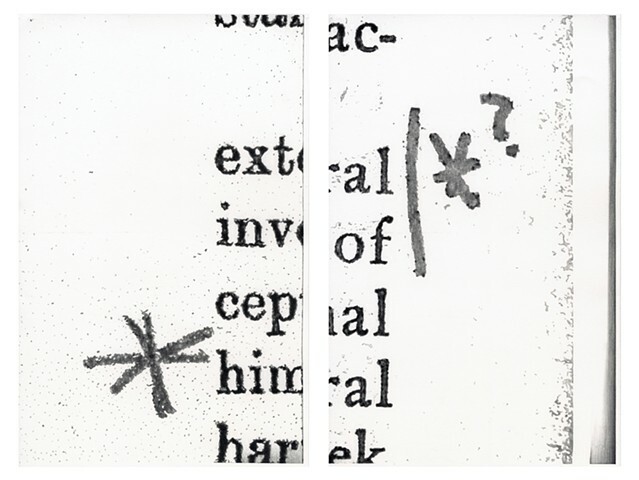 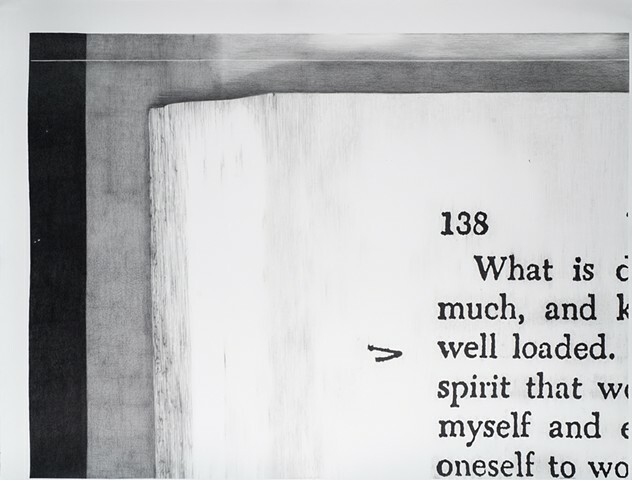 Examples of marginalia (readers’ annotations)—are collected in the form of photocopies into a functioning archive that viewers can browse and contribute to during an exhibition. 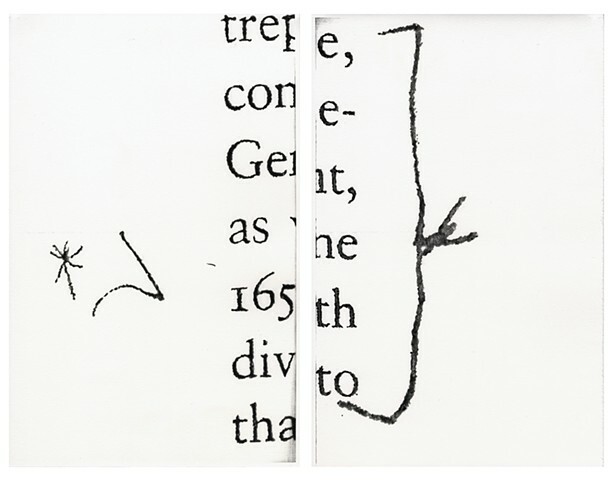 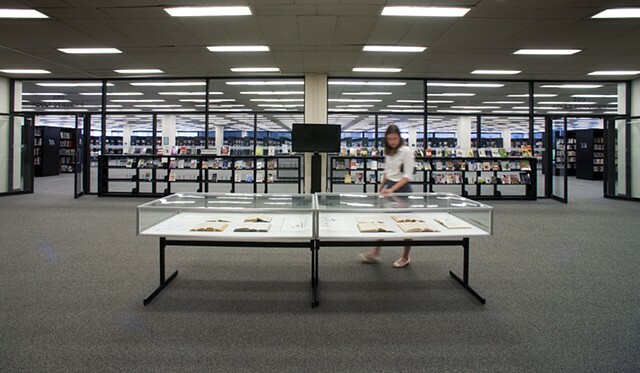 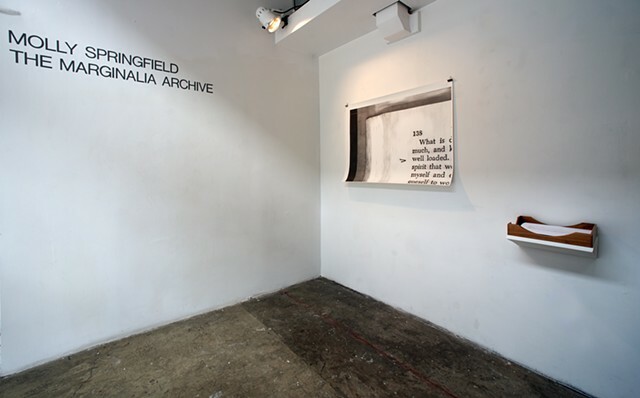 The archive is also used as source material for drawings. 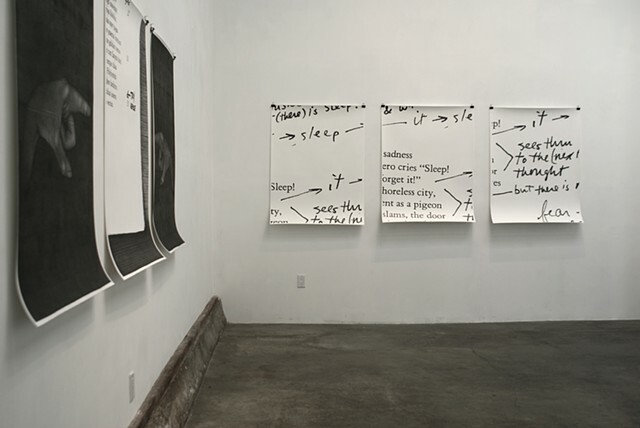 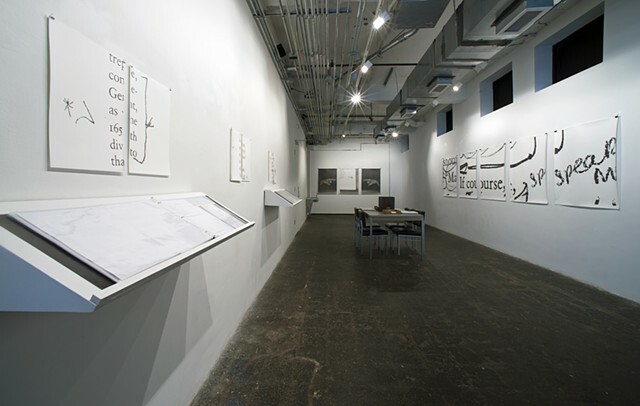 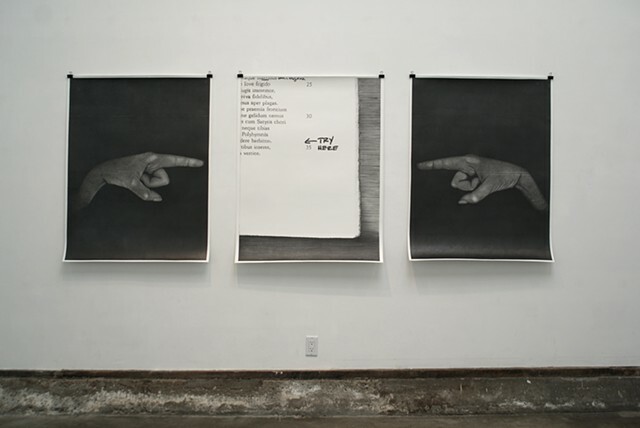 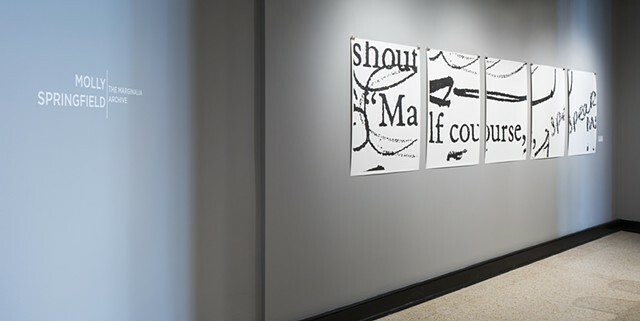 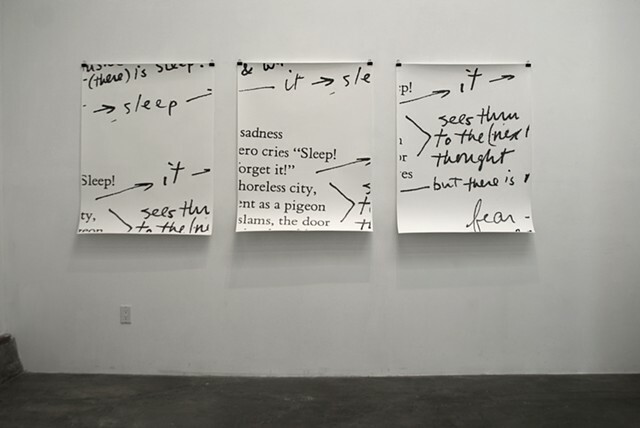 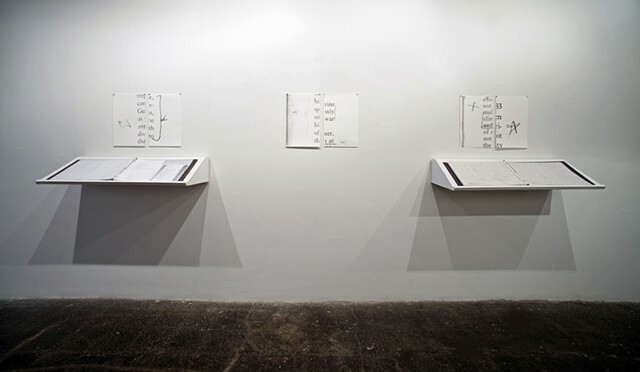 42 x 180 inches (each panel 42 x 32 inches) Installation view at the Gustein Gallery, SCAD. 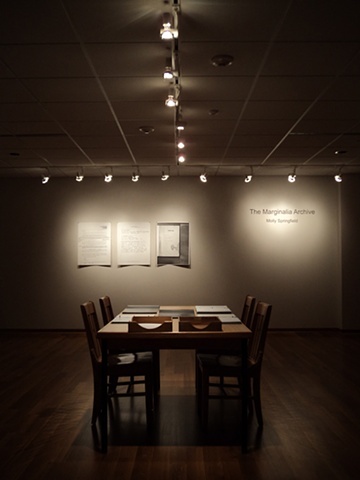 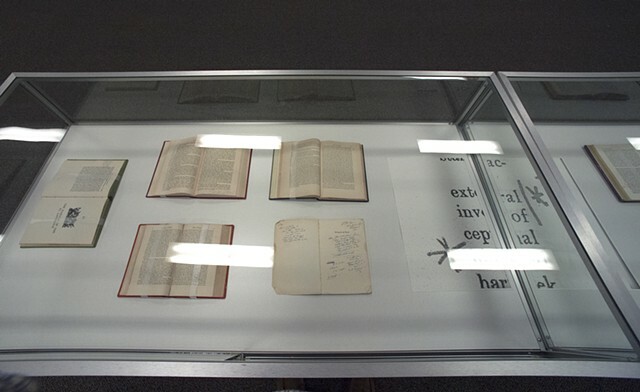 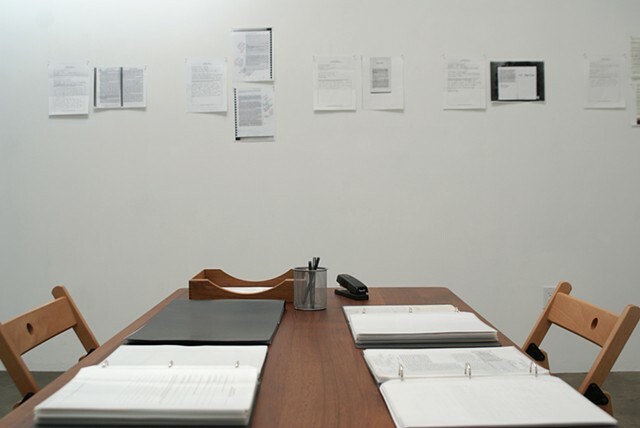 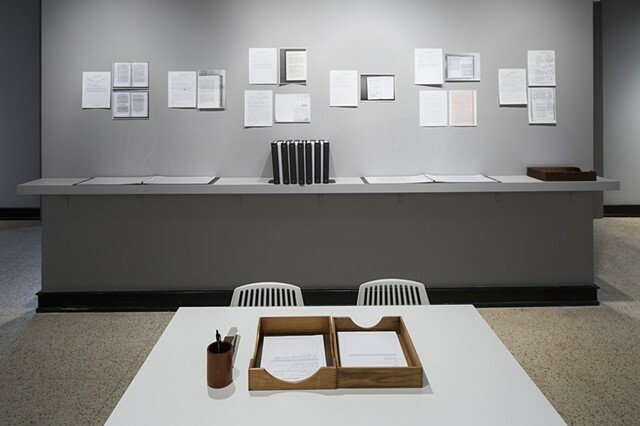 Installation view of display cases in DC's Martin Luther King Jr. Memorial Library containing annotated books from the library’s collection and graphite on paper drawings. 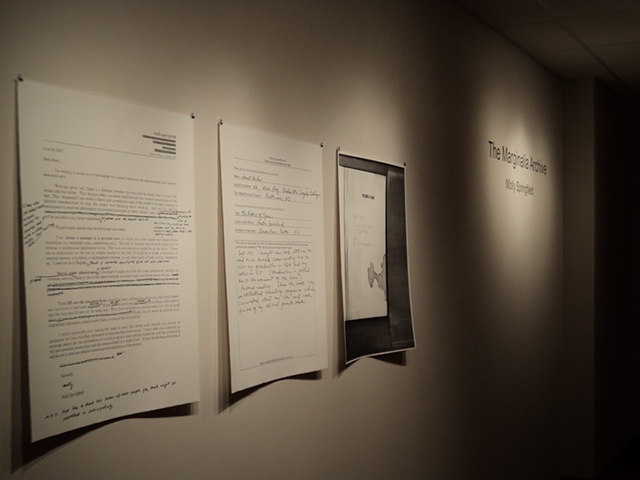 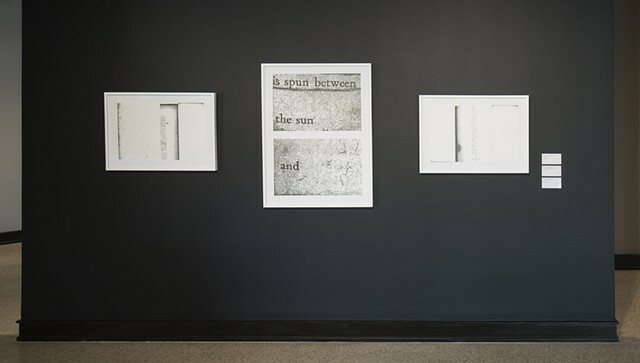 Installation view at Center Art Gallery, Calvin College. 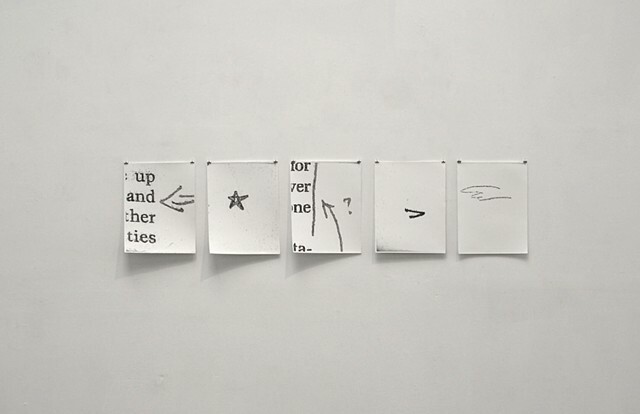 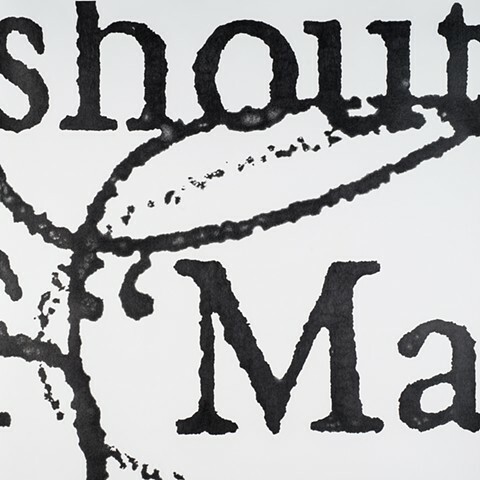 Drawing In / Drawing Out, The Phillips Museum of Art, Lancaster, PA, January 24 - March 4, 2018.